A.R. is probably no longer manufacturing the lug pattern for Spits/GT6's. "the wheels they are made by a company called Avon (not sure if that is the same company that makes tyres) and they are known as Safety wheels as they have a metal insert that goes around the wheel (under the tyre) that apparently prevents the tyre from coming off in the event of a blowout"
"The guy from who I bought my car told me that these alloy wheels were originally fitted to my '79 Spitfire. A picture is available on the site of the French Spitfire club." 5, 5.5, 6" x 13, 14, 15"
Cosmic ? 5 1/2" x 13" ? ? ? ? Cosmic ? ? ? ? ? ? Hereby ? ? ? ? ? ? 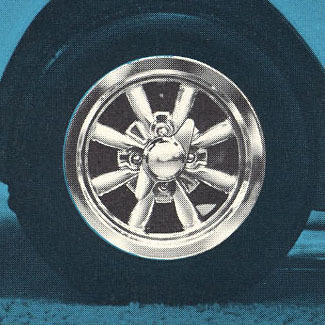 This photo was listed in a Triumph Factory options brochure for Mk2 Spitfires (post 1964) as "Magnesium Wheel item # V420" The text goes on to say "normally supplied in dull finish, they are available polished, as shown, for a small extra charge." 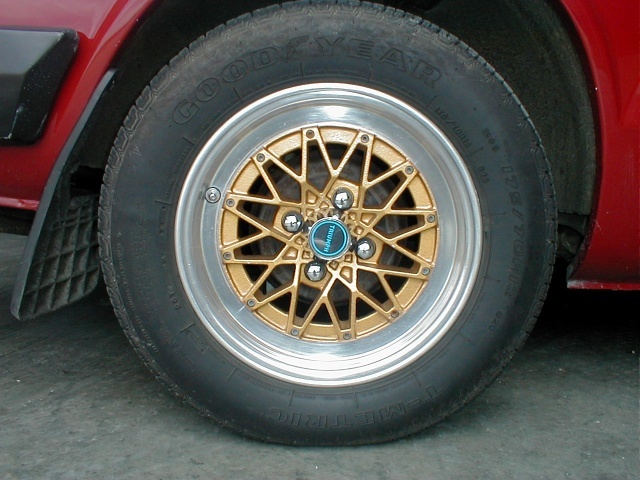 Very similar if not the same as wheel made by American Racing. 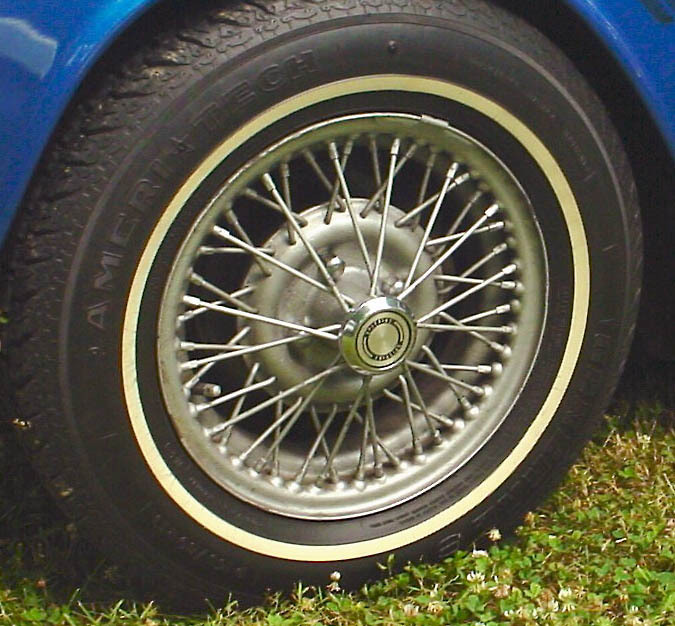 Triumph offered a factory wire wheel that mouted using lug nuts rather than a knockoff. 5.5" and 6" x 13"
ML is a Minilite "copy"
Very mean looking. Center caps no longer fit on correctly. Took a very long time since the lug pattern had to be ordered by them, but very happy @ <$70 per! The car rides a lot better as well. 13x5, 13x5.5, 13x6, 13x6.5, etc. 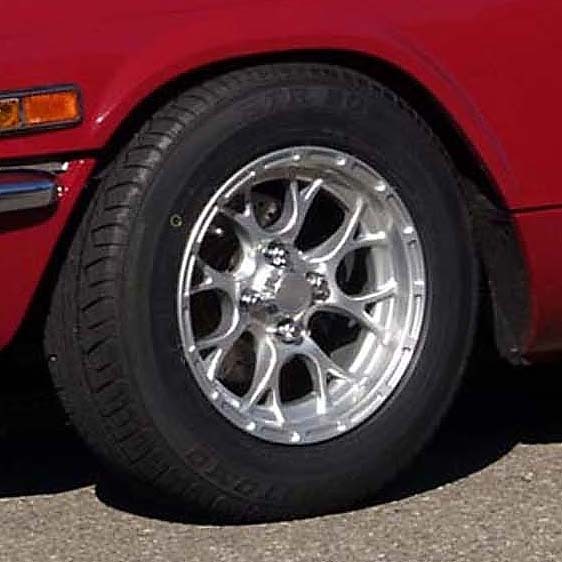 13",14"&15" AutoX & racing wheels custom made to your specs with magnesium or aluminum centers. Turnaround time is 1-2 weeks after your order is placed. 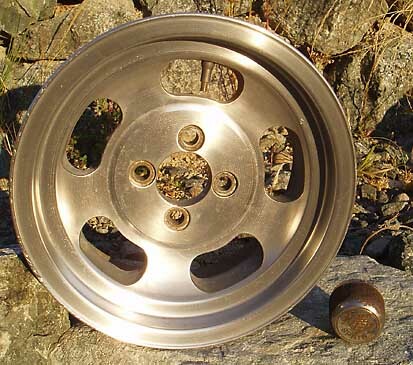 $180 for roadwheel, $207 comp. black spokes are available on wheels with silver lip. 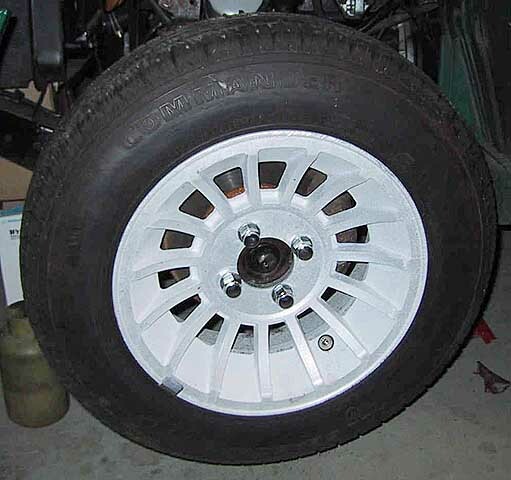 Full white wheel also available. 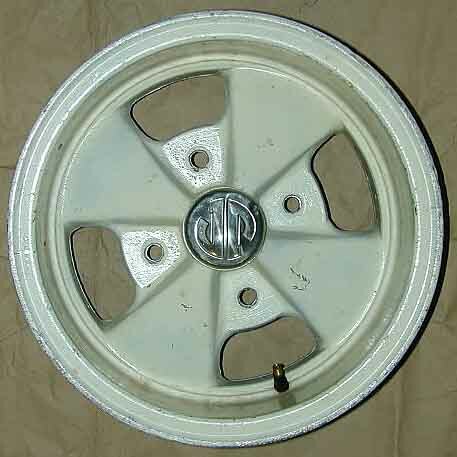 British Wire Wheel or Rimmer Bros. 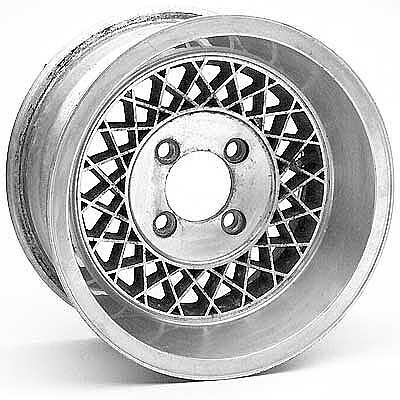 Note: Many of these wheel suppliers are just that, suppliers who take orders. 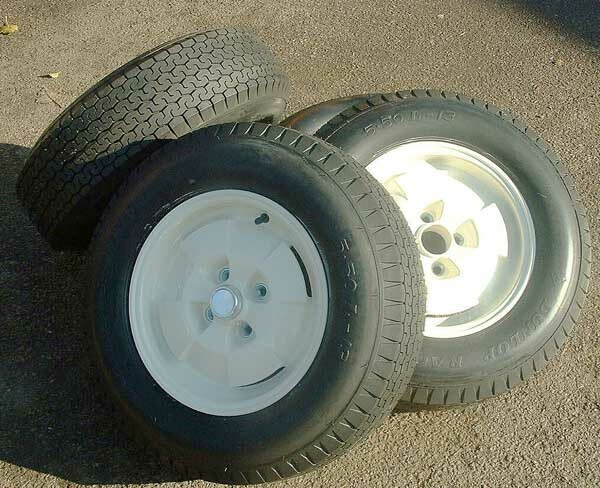 Many wheel manufactures are based in England and wheels are made when the order is taken. If you order wheels it might be months before you receive the wheels. 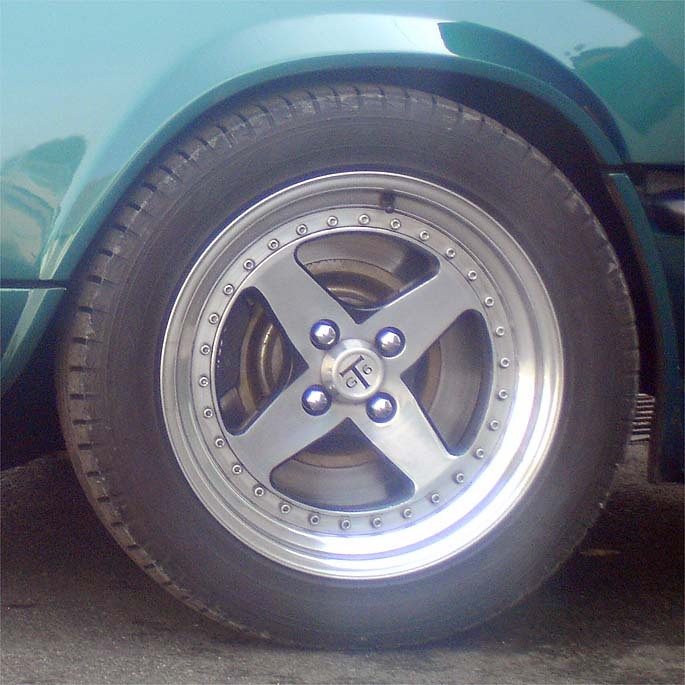 TR7 steel wheels are hubcentric (centered on the hubs) and Spitfire hubs are not. It is a good idea to countersink the lug holes 1/16 inch to better accept the Spitfire's stock tapered lug nuts. Visit this link for info. 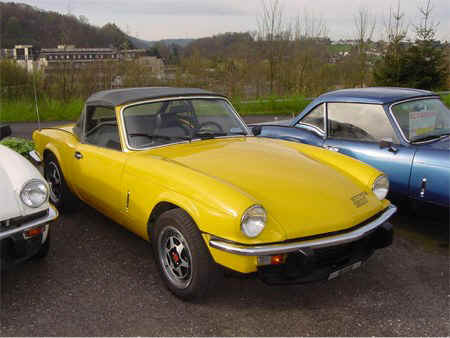 Triumph TR8 5? x 8 ? ? Little info about this conversion... more than likely the same info about TR7 applies. 5 1/2 x 13 ? Europa and Elan used the same hubs as Spitfires. 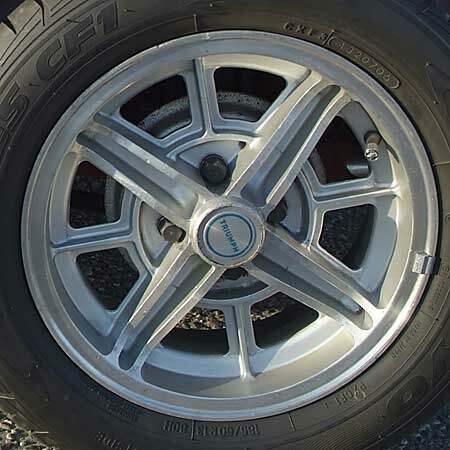 This wheel is from a Europa and is probably made by Cosmic. MGF's use the same bolt patten as Spit/GT6's. 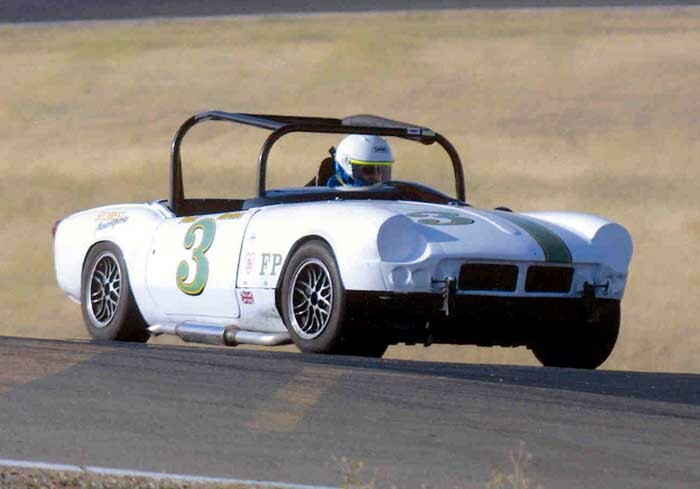 However offsets are different and will rub the suspension and inner fenders. 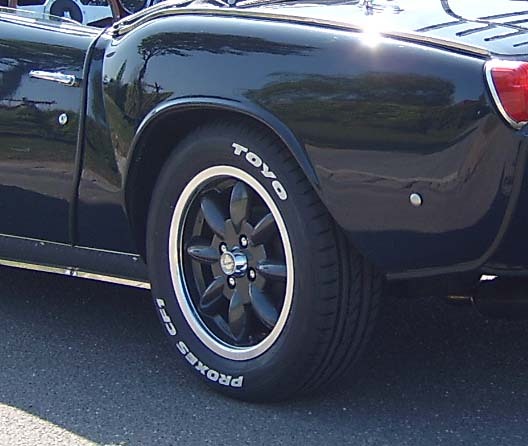 same as Spit but 14", 185/65 R14 tyres give similar rolling circumference to stock 13"
195/50 shown. Many mods required to combat rubbing inside fenders and suspension. 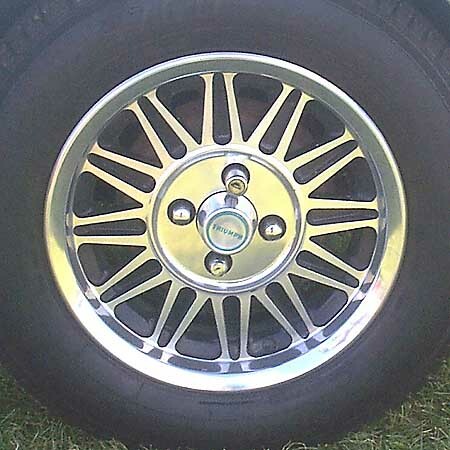 Has photos of Austin Mini wheels, offsets, etc. 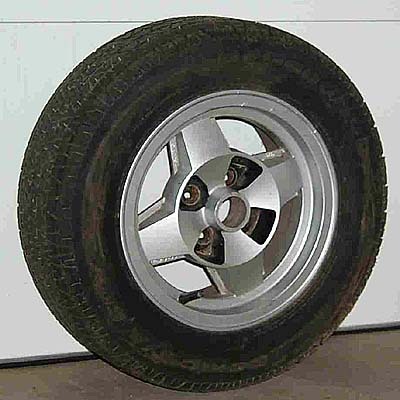 Although wheels are for Minis, the photos are of brands available for Spits. 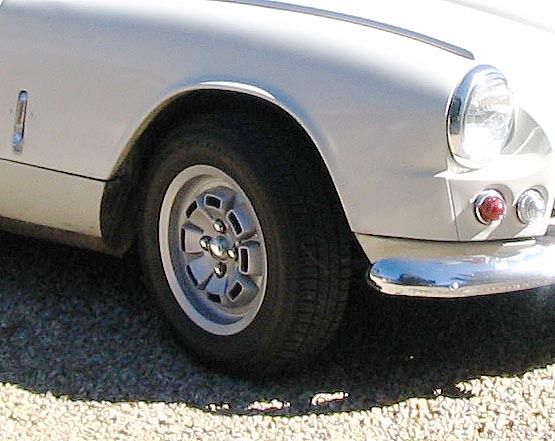 If MGF wheels do indeed fit Spits/GT6's, here is a link to photos. Offset is a somewhat complicated concept. Check out this link for a good explanation. 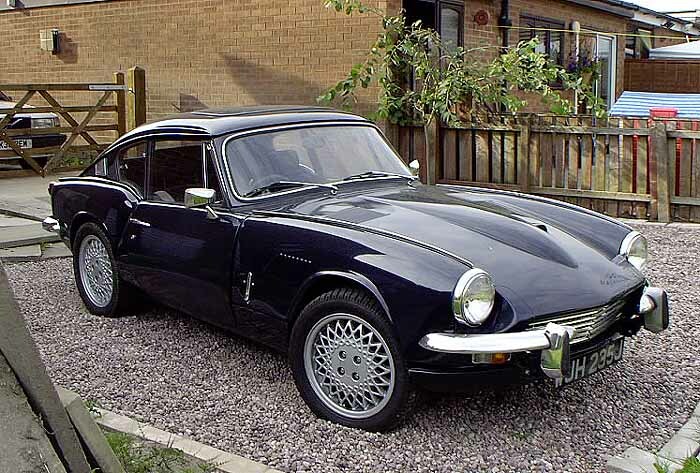 What non-factory wheels do you have on your Spitfire/GT6?